Abigail gets the pleasure of waking up every morning knowing her 6 year old self would be incredibly proud of what she does for a living. As the founder, owner, and director of Abundance Academy of Dance, she works night and day to create a positive experience for the entire AAD family. Before AAD, Abby received her undergraduate degree in Psychology & Women's Studies from the University of Delaware and her Master's degree in School Counseling from Wilmington University. Many jobs shaped and influenced Abby’s teaching style. Most notable include serving as an Elementary School Counselor in Newark, Delaware and directing the City of Newark, DE Dance Program for several years. She believes that the best dance teachers always remain students themselves. In 2015, she was certified through Acrobatics Arts to teach all levels of acro, from Primary to Pre Professional 3. In 2016, she earned certification through Rhythm Works Integrative Dance, a ground-breaking rhythm and dance program that designed for those with individual learning differences and special needs. Most recently, she completed her certification in Applied Positive Psychology through The Flourishing Center to further foster and celebrate her dancers' strengths and build their resilience. She also attends The Dance Teacher Summit in NYC each summer to stay current with the latest and greatest in the dance world. In addition to growing AAD, Abby also enjoys traveling, spending time her adorable dog, Levi and drinking lots of iced coffee. 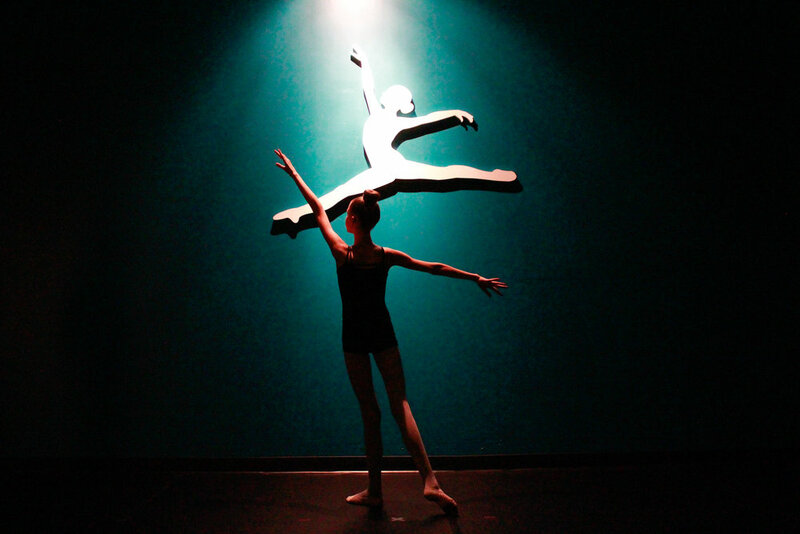 She separates her laundry into lights, darks, and teals and lives for that special day of the year when all her dancers shine on the recital stage. CLICK TO READ this Chester County Press article about Abby from September 2017. Miss Hannah, originally from Manhattan Beach, California, found the love of dance at the young age of 3 years old when she took her first dance class. Throughout the years Hannah has been blessed to have trained in many different dance styles ranging from hip hop to ballet. For years Hannah has been training with Dennis Danehy, world renown hip hop artist and judge as well as the son of Don Cambell aka Cambellock who created the hip hop dance style locking. Along with dancing in California, Hannah has had the opportunity to go overseas to Tasmania and Australia where she not only danced but had opportunities to do some choreographing and teaching dance to kids of all ages. Hannah is thrilled to have the opportunity to share her love, passion, and knowledge of dance with her students. Miss Rachel is a University of Delaware graduate and Registered Nurse at Christiana Hospital. She has trained in a variety of styles including hip hop, jazz, contemporary, poms, and kickline. She has gained valuable experience from attending many dance workshops, including the Disney Dancin’ workshop in Walt Disney World and Monsters of Hip Hop workshops with Laura Edwards and JaQuel Knight. Miss Rachel was Vice President for UD’s Delaware Repertory Dance Company for two years and her choreography has won numerous first place awards at competitions. Miss Rachel is very excited for another year at AAD so that she can share her experience with her students to help them become the best dancers they can be! AAD families may get to see Miss Kristen when she assists backstage during the recital or when she leads injury prevention workshops tailored for our dancers. She is also a part of the behind the scenes side of the business by consulting and cutting recital music. Kristen was an integral part of the founding of AAD and was a full time instructor during our very first year of business. She went on to earn her doctorate in Physical Therapy from the University of the Sciences in Philadelphia and now treats full-time at an outpatient orthopedic clinic. She works part-time using her experience to treat dance-related injuries in Philadelphia. Since the summer of 2015, Kristen has taught an injury prevention classes for the Pennsylvania Ballet and The Rock School for Dance Education. She continues to use her degree to help AAD dancers to be their best physical selves! Miss Emily, a University of Delaware graduate, has trained and performed in many dance styles including ballet, modern, jazz, and contemporary. At UD, she performed with the Dance Minor Faculty Concert, Delaware Repertory Dance Company, and Nova Dance Company. She trained for many years with the Berks Ballet Theater where she was a senior company member. She has had the opportunity to perform at the Regional Dance America national festival and Delaware Dance Festival, where she was a scholarship recipient. Miss Emily is excited to be returning to AAD and is looking forward to another great year of growing, learning, and dancing! Miss Naomi is currently a Junior at the University of Delaware. She studies Marketing and is pursuing a minor in dance. Prior to college, she lived in Wilmington Delaware and was involved in many sports and activities including field hockey, swimming, track, and tumbling. She now spends her time studying, working, doing yoga, and cooking! Naomi is thrilled to have found a place at AAD and cant wait to see what this opportunity has to offer. Lindsay fell in love with dance at just 3 years old. Over the years, she has trained in a variety of styles including jazz, ballet, pointe, contemporary, hip hop, and tap. She has learned to use her dance experience to pursue musical theater. She finds joy in acting, singing, and dancing. Being a senior at Avon Grove High School, she is considering majoring in Musical Theater or Music Education. Lindsay is very grateful to have the opportunity to assist in teaching and encouraging young dancers to be the best person the can possibly be.